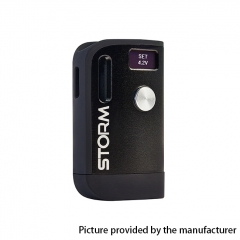 Convenient retractable top fill system: The tank can easily be filled with e-liquid by removing the top cap. The ELLO T comes with powerful HW coils: HW2 dual-cylinder 0.3ohm head and HW3 triple-cylinder 0.2ohm head, allowing great vaping experience with intense flavor and cloud. Dual air inlets with optimal airflow: The dual air inlets allow optimal airflow for great vapor production. And the airflow is adjustable to your preference by turning the airflow control ring. An ultra compact and ergonomic design: With an ultra compact size, it’s very easy to carry around. 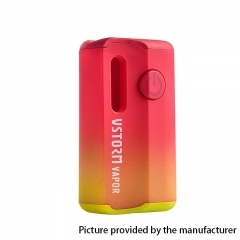 Larger 1.3-inch display with fresh interface: The Eleaf Invoke comes with a larger 1.3-inch display that shows all essential information clearly and concisely. Along with a fresh easy-to-go interface, it handles swiftly. 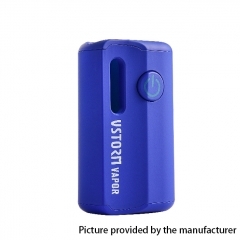 Limitless vaping with centered 510: With centered 510 pin, the Eleaf Invoke can accept tanks of various diameters. It can handle tanks up to 27mm without any overhang. Battery balancing trickle charge system: A battery balancing trickle charge system is introduced into the Eleaf Invoke to bring two batteries to the equal level charge, which also ensures high security in charging. Reverse charging capability: With the Reverse Charging (RC) adapter, the Eleaf Invoke will convert the 510 connection into a USB output for power bank mode, providing power to your cell phone or other e-cig device. 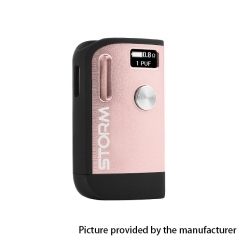 Micro USB port: the 18650 batteries can be charged in the Eleaf Invoke through the side USB port via wall adapter or computer or charged with an external battery charger.